The biker has only recently been able to move without a back brace since the February incident. Vivid helmet-cam video from a major accident on San Diego's I-15 highway has emerged, giving a firsthand POV-style look at one California man's brush with death. Traveling southbound on February 7, the motorcyclist is seen occupying the HOV route for some time until a white SUV makes an unorthodox lane change. 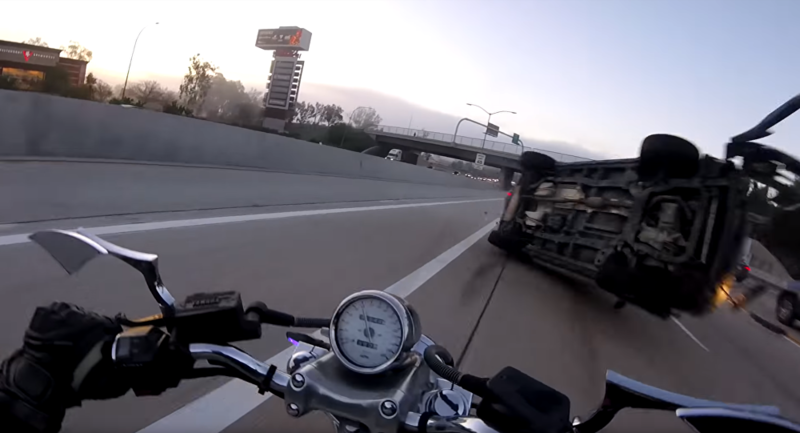 Initially striking the side of a Toyota Avalon, the vehicle is then seen flipping on its side before slamming into the biker and landing upside down. 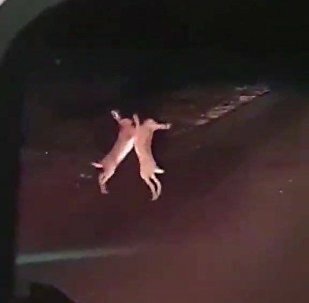 Thrown from his motorcycle, the biker ends up on the highway shoulder and, in a matter of seconds, is face-to-face with a witness of the accident attempting to make sure he is still conscious. According to the motorcyclist, the incident left him with multiple injuries, including "two fractured vertebrae, a severely sprained ankle and messed up shoulder."